Urban Oyster, which runs a variety of New York City walking tours, is adding a brand new Downtown Food Cart Tour to its arsenal of offerings. Although tickets will normally cost $45, we're giving away four spots on a preview tour this Friday from 12:30PM - 3:00PM. On the tour, you'll have the chance to experience New York City street food beyond hot dog carts and pretzel stands. Attendees will sample an international buffet of offerings, observe the constructive geniuses that cram full kitchens into improbably small carts, and hear the stories of their proprietors -- from struggling immigrants to culinary school drop-outs (and even a former four-star restaurant chef)! We're giving away two spots via Facebook and two spots via Twitter. 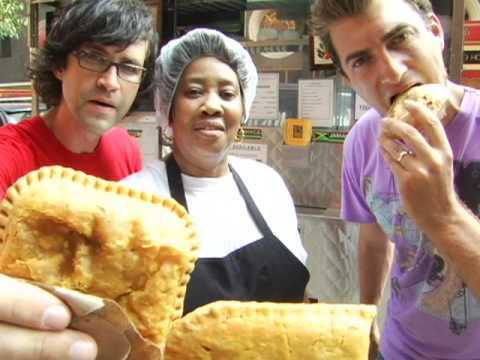 To enter our Facebook contest, simply click here and name your favorite street food in the comments section of the posting about Friday's tour. To enter our Twitter contest, just click here and retweet the contest announcement.